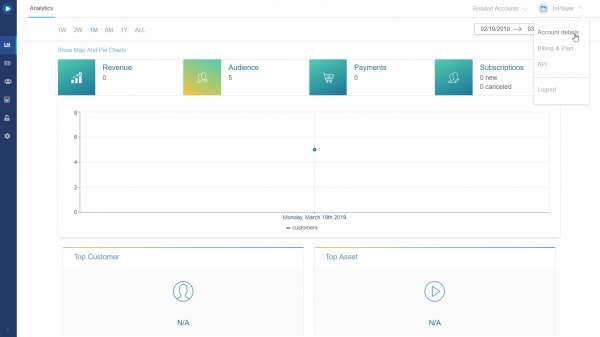 In the following guide, you will get more familiar with the Password Management tab of the Account Details section. 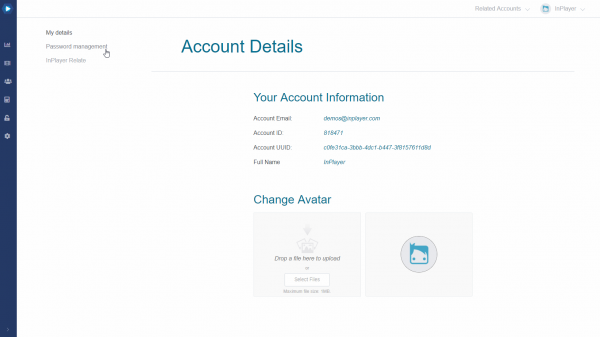 To access the Password Management tab, click on your avatar at the top right and then on Account details. Then click on Password Management. 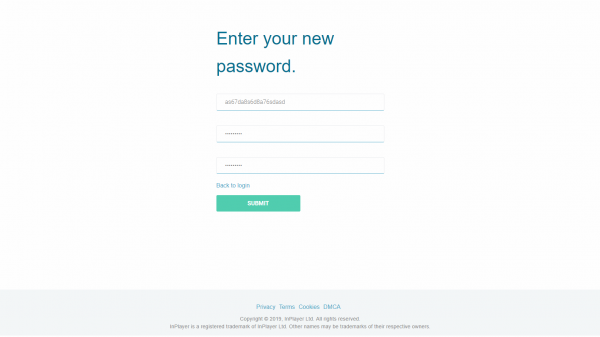 Here, you can change your InPlayer password. 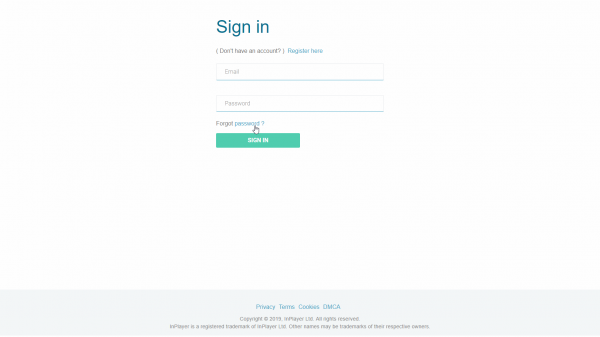 Another way of changing your password is via the InPlayer Dashboard’s login page. This is for cases where you don’t remember your password. Just click on Forgot Password, enter your email and click . An email with a password reset token will arrive in your Inbox. You might need to check your Spam and Trash folders as well. 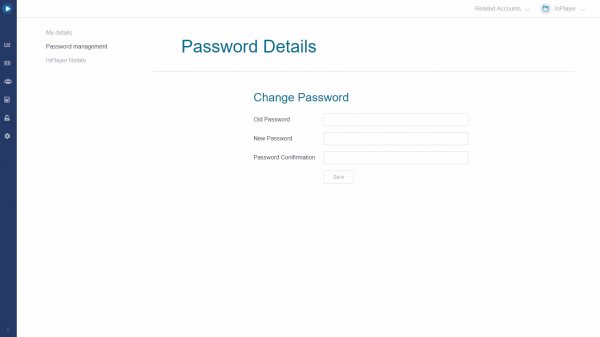 Just copy and paste the token from the email into the Token field of the password reset form, and enter your new password. Then click and your password will be changed.